Is anybody using Creo Schematics? if so, do you know what is the main market for this product? I just want to share this in order to see what other users think about. I got it last year however it seems to be toought to do what I want to do. 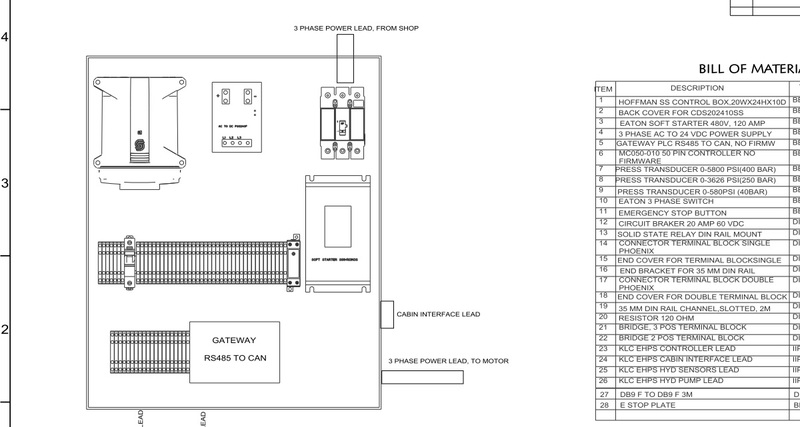 I have to do schematics for control boxes, junction boxes and things like that. So I need to use terminal blocks with up 4 conencting points, however it seems to be impossible with CREO SCHEMATICS. I select a double side connector but it only allows me to connect up to 3 wires (2 in one side and 1 on the other side) so waht about my 4th wire? I have to use a free point connection in order to fix but the Creo Schematics is expensive and that simple thing is not possible (at least not in a easy way). The bundle cables: the library has a tamplate for up to 3 conductors (which is nothing in most cases) however does not have a way to set the numbers of conductors you need (that is bad). OK then you create your own bundle cables with the conductors needed and it has a specific size and leght of conductors. The problem is when you need to use it in a different sheet. Once you insert this in a new sheet and you want to make it bigger (or smaller) you are in trouble, the position of the connections are separated to the new distance however the conductors/wire stays at the same place.making look it bad. if you want to adjust the wire to the new position it is a nightmare you can not get a straight line again the vertex decided where to go by itself so iIended up making a new wire again my point here is that CREO Schematics is an expesive software and should help instead of make things worst. trying to draw something: it is tought surely. if you need to draw a shape of a new part, it is tought, I have draft sight for free, so I draw whatever i want to do then I import the drawing to Creo schematics. Do you think this is OK.? you have to draw in a free software becuase it is way easier then import the draw in an expensive software, unbelive. I have tried the elearnig triaining however they never show any real aplication, they only shows how to connect a buzzer, what CREO Schematics does not know is that most companies does not only install buzzer in their systems. It sounds like you are not using grids. trying to draw something: it is tought surely. if you need to draw a shape of a new part, it is tought, I have draft sight for free, so I draw whatever i want to do then I import the drawing to Creo schematics. Do you think this is OK. If you are not comfortable using the sketching tools in schematics then of course you can import DWG and DXF files. the key is to ensure the ports are aligned on a grid and this will avoid the problem you are seeing with not being able to create straight lines. The course teaches you how to create catalog items and should provide you all the knowledge you need to create your own symbols. The basic tutorial that is available on the Get started tab also teaches you how to create, blocks, variable groups, ports and cables. fisrt, thanks for your reply. Creo was set up so you could make your own custom shapes, ports, cables, connectors, datatables, etc... The help files do cover this however there is a bit of a learning curve. There is a company called Cedel Solutions that offers training that would clear up all your questions and problems. I assure you that Creo works quite well and once you discover it's true potential, especially in customization, you may be quite happy. why not to say I started to like Creo Schematics? I have done some projects and I have realize of the logic of the software so that makes things easier. I still have to learn more about but so far I can say is not bad. one thing I can not understand is why it is not possible to import *.drw drawings direct to Schematics (without buying the interface to migrate from schematics to elements), does not make to much sense to me since both softwares are made by PTC. I mean you can import dxf,dwg files so why drw files are not allowed? after all if a drw is imported to schematics you can have a choice to break the embedded features of the drw file, right? for my projects I use both CREO Elements and Creo Schematics, lately you can download a lot of 3D models of electronic/electrical parts. so in order to create the BOM and a layout of how parts are set up I have to convert from drw to dxf and then import to schematics, this may not take that long but why it has to be like that since the same company makes both softwares? Q: Why it has to be like that since the same company makes both softwares? A: It's probably the same as with Microsoft Word not being able to import Microsoft Excel sheets, while you can export text files from Excel and read them in. then, the question is, why that is not improved by allowing direct sharing? and what I said they can add a choice to break the embeded 2d drawings, it is like when you are in Creo Elements, you can copy a full assembly and you can choose to remane all parts or use it as it is. if you choose to rename the parts they are totally different assemblies. it is just a thought that comes to my mind everytime that I need to represent and artifact in creo schematics. The picture attached shows you what I am talking about. I did the 3D of that control BOX so that I can figure out the arragment of the components and also if all that would fit in the box. That picture is used by the assembler to do the job. so I had to export the drw to dxf then edit in dxf then insert in creo schematics. it may not take too long but could be easier, isn´t it? The realistic answer to the question is: There's no obvious profit in getting Schematic to read Elements drawings. There's also no harm in not having Schematic read Elements drawings, because you can export the information from Elements to a data format that Schematic can read. There was obvious profit in being able to read dwg and dxf, the two most widely exchanged 2D drawing data formats. In developing software, it is always the problem with complex applications that areas appear to overlap, but the delivered functions and interfaces differ. Unless a company has a Steve Jobs or Bill Gates leading it, with a particular vision and the willingness to see that vision done, the products of that company will generally reflect the structure within that company. Separate groups end up doing separate things. I highly recommend Cedel Solutions. For what purpose do you recommend Cedel Solutions? Setting up routed systems, training, consulting? We use Creo 4.0 and are thinking about using the piping/cabling extension with creo schematics. But the potential administrative overhead is a concern. From what I can tell the combination of schematics and piping/cabling can be very powerful if all your ducks are in a row in the back-end(data) and once you get far enough along the front-end learning curve where the frustration level is tolerable. Has anyone looked at CadActive's proposed web-based interface for routed systems?